Need more information about booking Home 8633657 ? We invite you to spend with us a few days relaxing and taking in its beauty and uniqueness to discover the smallest mountain range in Germany. The apartment has 65 m² and consists of bedroom, comfortably furnished living room with balcony, a fully equipped kitchen and a bathroom with a bathtub. In warm weather, the 14m² large balcony invites you to linger and crickets. The apartment has a separate entrance and is fully equipped with underfloor heating. Parking spaces are available. The pool can be used by guests in the summer. 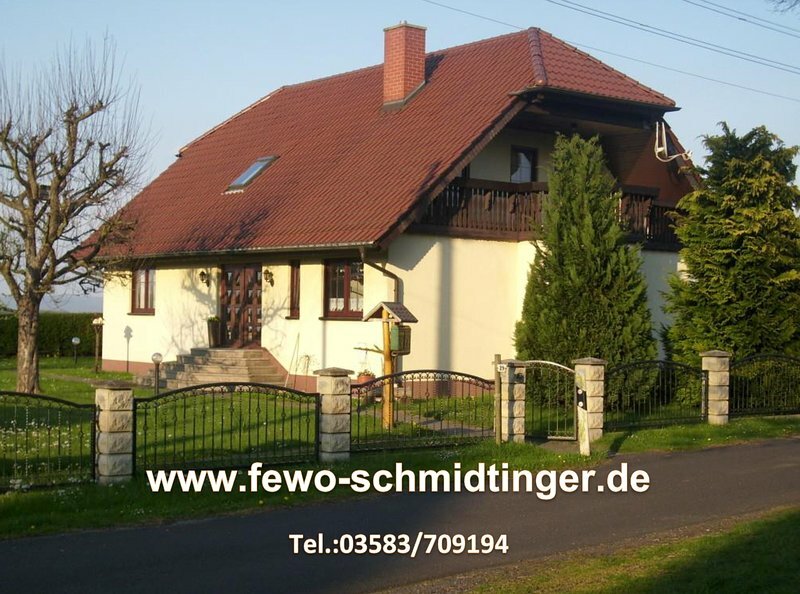 Prices: 40 € per night for 2 persons, each additional person on request, including bed linen, towels, WiFi, parking.. plus another 20 € Charges In about 2 minutes you reach the bus stop and in 10 minutes you are on the Zittau narrow gauge railway station. Whether you are planning longer vacations or go on a few days in our region, we are looking forward to your visit. You can get in touch with Ines (the owner) through the contact form on this page. Send Ines (the owner) an email through the contact form on this page. Alternatively, if there’s a phone number on this page, you can call them. How do I contact Ines (the owner)? If you’ve already booked, go to Manage your holiday booking to view Ines the owner's contact details or send them a message. Or send Ines (the owner) an enquiry through the Contact the owner/manager form if you’d like a quote or more info first. When you pay online through the Book your stay form, a booking request is sent to Ines (the owner). You’ll find out within 24 hours whether they’ve accepted - no money will leave your account before then. You can also request a quote from Ines (the owner) through the contact form. The owner will email you the total cost for your dates and a link to book and pay online. Use the Book your stay form to pay provisionally online. You can pay by credit/debit card or PayPal. Ines (the owner) will have 24 hours to accept the booking and no money will leave your account before then. Why can't I call Ines (the owner) before booking? You’ll need to contact Ines (the owner) to do this. Send them a message in Manage your holiday booking or through the contact form on this page. You can request to change the dates or number of people on your booking via the Manage your holiday booking page. To change your holiday dates use the Edit booking button. If you need to change the number of guests staying then send Ines (the owner) a message. If Ines (the owner) agrees, they’ll send you a revised quote outlining the changes. You can review and accept/decline this from the Manage your holiday booking page. You’ll have 48 hours to take action before the revised quote expires.